As part of the Culture Days national celebration of arts and culture across Canada, the Craftivism show will be on display at Raw Canvas in Yaletown, Vancouver BC on September 25, 2010. For this show, artists were asked to paint on three 8″ x 8″ canvasses with the theme of community and sustainability. The Craftivism show will also be part of the Main Art Drift on October 2-3, 2010. Shown below is my triptych “One Sky” along with a haiku I wrote on the theme of the show. Events → Maynards Fine Arts auction for The Contemporary Woman exhibition! For any artist, an auction is both exciting and stressful! There is nothing quite like it. I wasn’t sure if I’d have the guts to watch the whole thing, but I did. It was very exciting, and it was very rewarding! My Antennae painting was selected for The Contemporary Woman event! 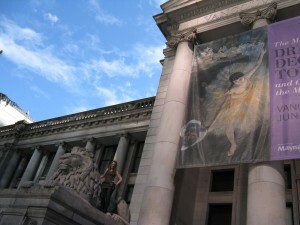 “The inspiration for this unique auction event was taken from the exhibition themed ‘The Modern Woman’ to which Maynards was the presenting sponsor at the Vancouver Art Gallery. Unprecedented amongst leading Canadian auction houses, Maynards has asked emerging artists to submit a work of art that reflects their perspective of what it means to be a woman in contemporary society. Each artist was asked to write a brief statement about how their work relates to the theme of the show. capturing the essence of being a woman in contemporary society. 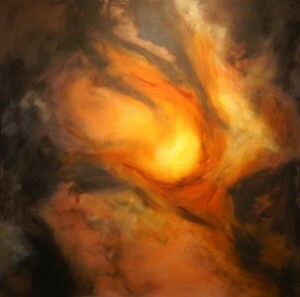 colliding with the world of career and personal expression. Events, Pictures → Taiwan Festival, Vancouver Art Gallery Plaza! On Saturday, September 4, 2010, I was part of the Taiwan Festival, displaying my paintings in a booth with renowned artist Raymond Chow! We were outside at the Vancouver Art Gallery plaza, and it was packed with people before it even opened at noon. It was wonderful talking with Raymond all day, and I met so many people! The festival had music and food, and booths set up for people to wander through…it was a beautiful day, and sooo much fun. Later in the evening, there was a fashion show on the main stage in the plaza, with three Taiwanese fashion designers showing their amazing work. Below is a small selection of pictures of me and Raymond, and our exhibit of paintings. 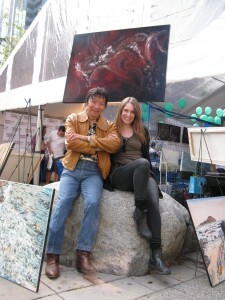 Stacy Sakai with Raymond Chow at our painting exhibition for the Taiwan Festival. Stacy at the Vancouver Art Gallery. The Modern Woman is the current exhibition at the VAG. 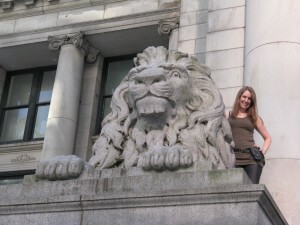 One of the lions in front of the Vancouver Art Gallery. 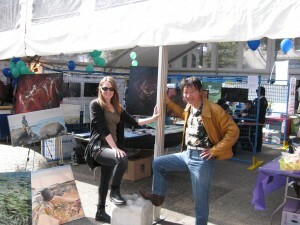 Stacy Sakai and Raymond Chow in front of our painting exhibition at the Taiwan Festival, Vancouver Art Gallery plaza.